The road to Dossena is already exciting and stunning. 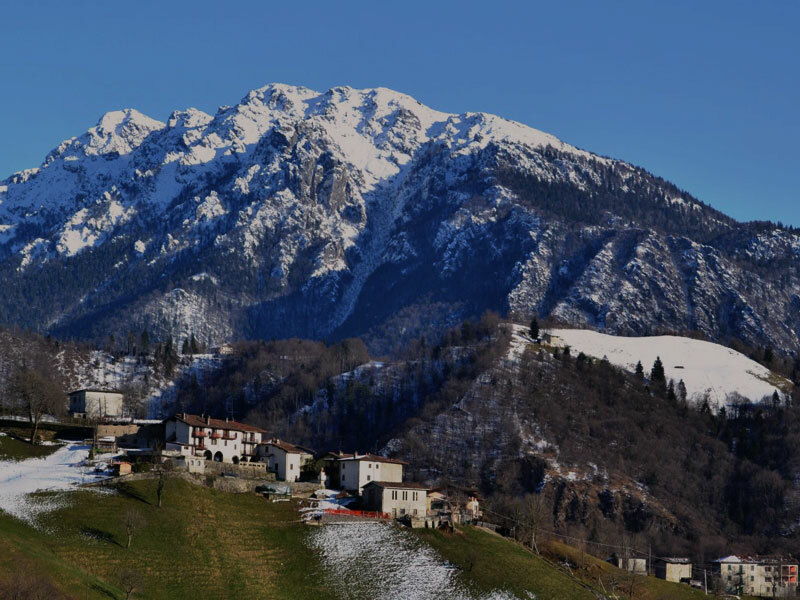 In the direction of Le Colle splendid panoramic views can be enjoyed passing from Cocervo, Taleggio valley and Resegone. Along the way also can be admirated the mineral deposits of Paglio – Pignolo. The Dossena mountain region is located in a strategic zone bounded by Asnera Valley on south, Parina Valley on north, massif of Vaccareggio and Pedrozio on east and Brembo River on west. Dossena’s administrative evolution and history are really interesting and particular. At the beginning it was a rural municipality in witch the power was exercised by ancient family: Alcani, Astori and Bonzi. After choosing to became part of the Republic of Venice other new family start to take part of the power: Omacini, Sandri and Zanni. These families needed to take care of the City, the Church and the Misericordia. The Curch had to care (but also earn money from this) about the cutting down of the forests’ rosin tree. The City could trade using the Valle Perina’s and Gioco’s forests and the grazing, particulary important were the tree trunks’ trade and the production of vegetal carbons. Under the control of the Republic of Venice the cities of the zone remained quite independent thanks to the Republic’s representatives locally sourced. Therefore Dossena and the Valley realized a political systems founded on two authority controlling each other and persecuting one the local interest and the other the Venice interest. Just like this the institutional balance had been saved.